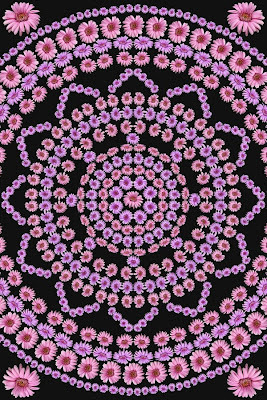 Here, we have used the flowers to create a mandala with the open star which you see here. 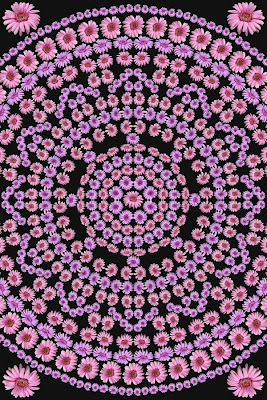 I like the way the open area changes the rythmn of the concentric circles. On the other hand, the empty spaces almost beg to be filled. For that reason, I offer a second version with extra flowers added. I would appreciate getting feedback as to which you prefer as the star is something I can use in other designs.